SO – you’re a foodie, you’ve saved up all your dough and you want to roll around in the worlds best eats. 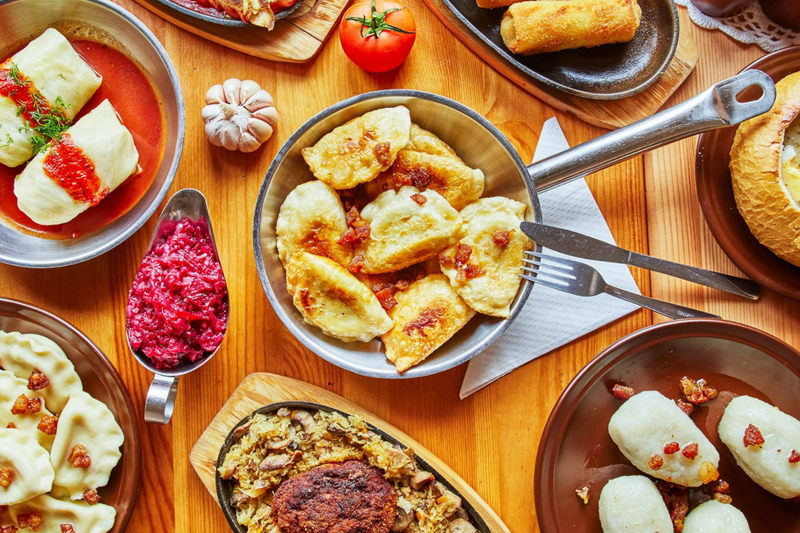 The globe is your oyster, but we’ve rounded up a slick six list of countries to cities to add to your foodie abroad bucket list. Happy flighting. Beside hitting the road to El Dorado, you’ll want to get your hands on the priceless jewels in the form of Colombian food. A gorgeous mix of indigenous Chibcha, Spanish and African cuisine can be tasted across dishes such as corn cakes, lobster and deep fried plantains stuffed with cheese – and if you’re lucky, we’ll get you there for free. Enter the draw for free flights and a HomeWorld Travel tour here. Colomb-cya. Wham, bam, thank you Japan. For an experience that’s hotter than wasabi, you’ll need to hit up Japan Food Tours. We’re talking otoro served by a fourth generation sushi master, hidden ramen shops, unlimited sake and more. If you’re feeling lucky, punk, enter our competition to win a 12 year old Suntory Hakushu here (it’s whisky, why are you saying it that way?). Do try it. As the largest exporter of tea in the world, you’ll have to make your way through some samples while frolicking across full blown tea fields in Ella for a sip happy time. Curry with rice is a Sri Lankan staple dish, which is pretty nice – so head to a local restaurant and eat your weight in foodie gold. If you happen to land in Kandy, find a street food vendor that serves egg hoppers – it will change your life. Pineapples are also known for being insanely good here so piña colada the heck out of that! Back away from the baguette, Woolies can take care of that. If you want to experience real French food (and wine), Provence is full of it. Drink-wise, you should definitely tackle a tour of the AIX rosé vineyards. Food-wise, think ratatouille, fresh aioli and bouillabaisse – a classic seafood dish consisting of scorpionfish, sea robin, crabs and more. So yeah there are plenty of fish in the bouillabais-sea. This humble country is your go-to if you’re obsessed with potatoes. Baked, mashed, fried – they know their stuff. And yes, cabbage is very much a thing here. Bigos is a traditional hunters stew that will go for DAYS, full of cabbage, bacon, mushrooms, bay leaves and more. Pierogi (Polish dumplings) are also a must – and they don’t make them anywhere else like Gościniec in Warsaw Old Town. They’re even more of a comfort food than the dumplings we’re used to, that’ll meat and exceed all your expectations. More spaghetti, less regretti. Picture is – pizza, pasta, gnocchi – but made with plenty of passion, and home-grown produce. We almost forgot gelato, so make sure you don’t! And for the true foodie experience, head to Emilia – Romagna. It might not be as famous as Venice or Tuscany, but it is a culinary TREASURE – being home to the likes of parmesan cheese and prosciutto. Prepare to tour a cheese factory, eat traditional bolognese and live your best damn life. - the gourmand that’s a literal Polish potato.